A very nice Willaim Powell sidelock ejector shotgun was brought in with a top lever that didn't return to centre properly. 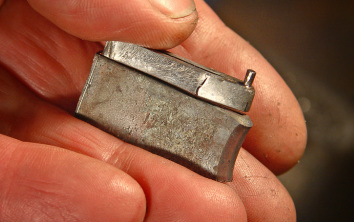 Sometimes dirt or other debris prevents full movement, but in this case a quick push with the thumb revealed that there appeared to be very little spring pressure at the top lever. A quick look inside revealed the problem, a large crack in the top lever spring. With the spring removed we can see the extent of the crack. No wonder this spring felt a little weak. As this is a best quality English shotgun it warrants having a bespoke hand made spring fitted. 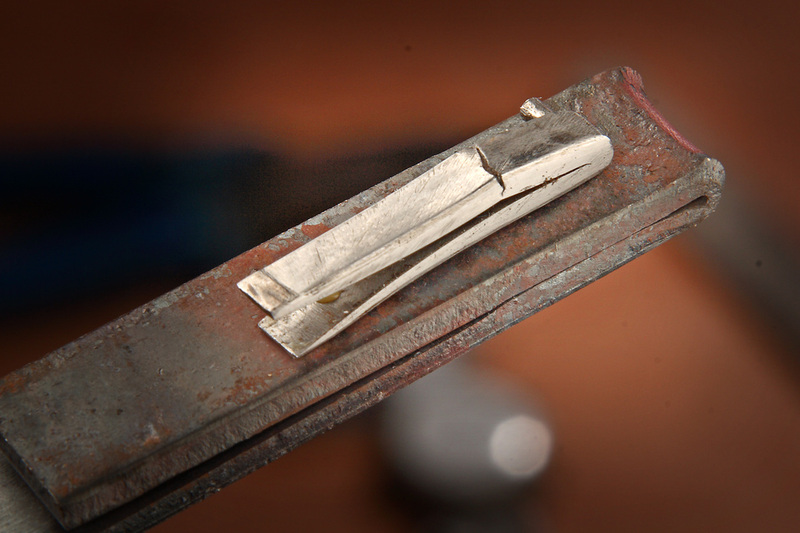 Attempting to alter an existing spanish or part forged spring blank is likely to involve too many compromises, and reduce the quality of the finished repair. I had a section of spring steel which I had formed into a V shape the previous day while the forge was still hot from making another spring. I laid the broken spring on this to check that it was a suitable size, which it was. I started by cutting this a little longer than the finished length required. Removing metal to reach the desired demensions is next. 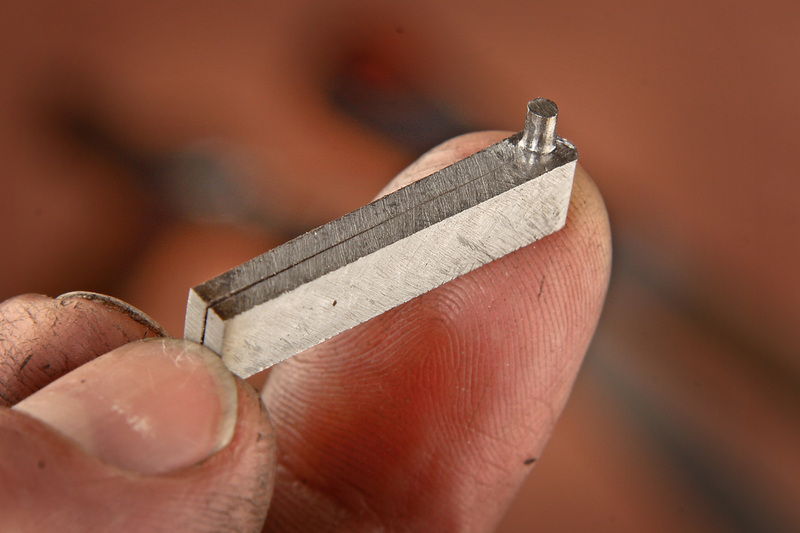 I can either do this by hand with the hacksaw and file, or use one of our milling machines. Sometimes it is quicker to do this by hand rather than set up a milling machine, but as one of the machines was already set up correctly I decided to use it. First the blank is machined down to the correct width. 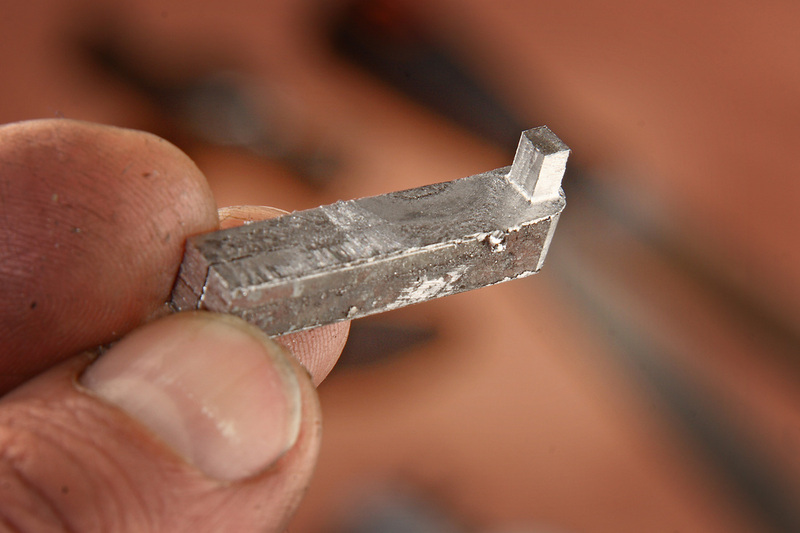 Then more metal is machined away to leave a protruding stub which will become the locating pin. 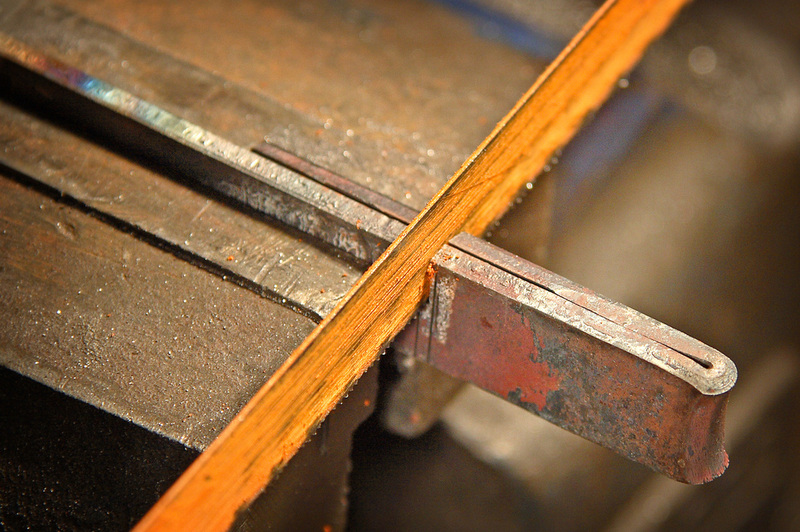 On the left is the spring as it comes off the milling machine, and on the right is the same spring after being hand filed to shape the locating pin, reduce the spring thickness and apply the required taper. The spring is heated to red hot in the gas furnace to have the gape and curve applied to the limbs, and then while still red hot is quenched to harden it. 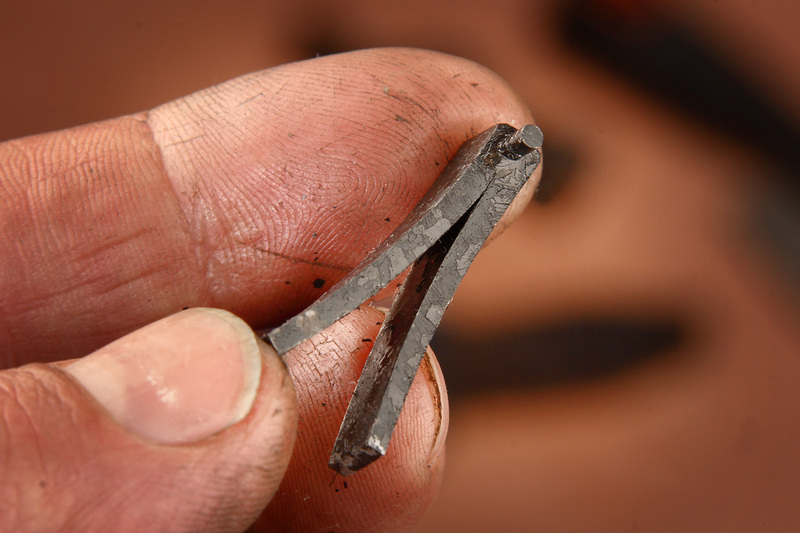 An hour in our heat treatment oven draws the temper back from full hard and brittle, to the correct temper for a spring. After heat treatment the spring looks a bit rough and scaly, and it is still little oversize. 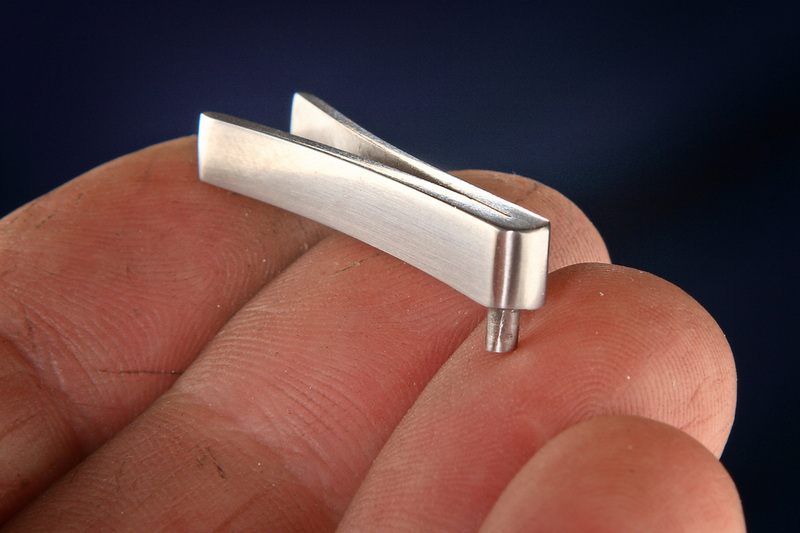 More hand fiiling and polishing produces a beautiful finished top lever spring. The finished custom made top lever spring installed in the gun and working perfectly.